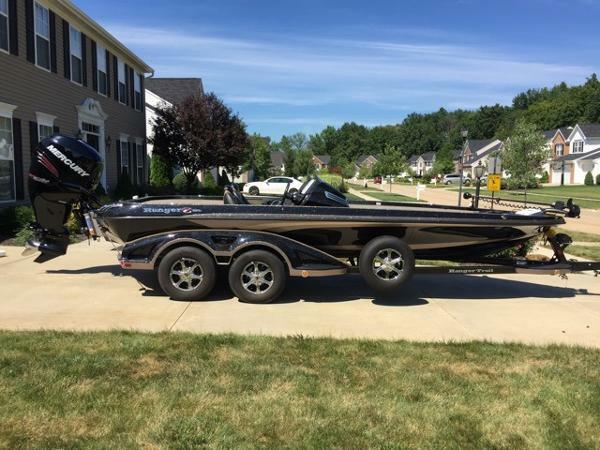 2015 RANGER BOATS Z521C 2015 Ranger Boats Z Comanche Z521C With an ultra-responsive feel and even more space, comfort and features, the Z521C Comanche® has been called "The ultimate total performance bass rig." Accelerating that status, the Z521 is injected with a 250 horsepower rating as well as the added confidence of Sea Star Pro® hydraulic steering, a 48 gallon fuel capacity and 95" beam. 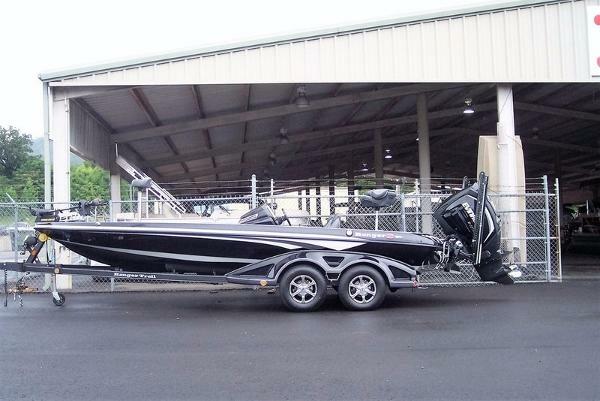 Inside, large, lockable storages, a built-in cooler and step highlight the front deck. Amidships, the consoles are larger and contoured for longer rods stored on the front deck. The taller consoles not only deliver more protection from the weather but also provide more room for flush mounting large-screened electronics. Combined with a full roster of instrumentation, a recirculating livewell with divider and pump out, SS compression locks, pop-up tie cleats, on-board charger, tackle management system, and an available, bucket seat with center step and storage, this dream rig is built to widen the gap and turn loose an even stronger level of leadership. 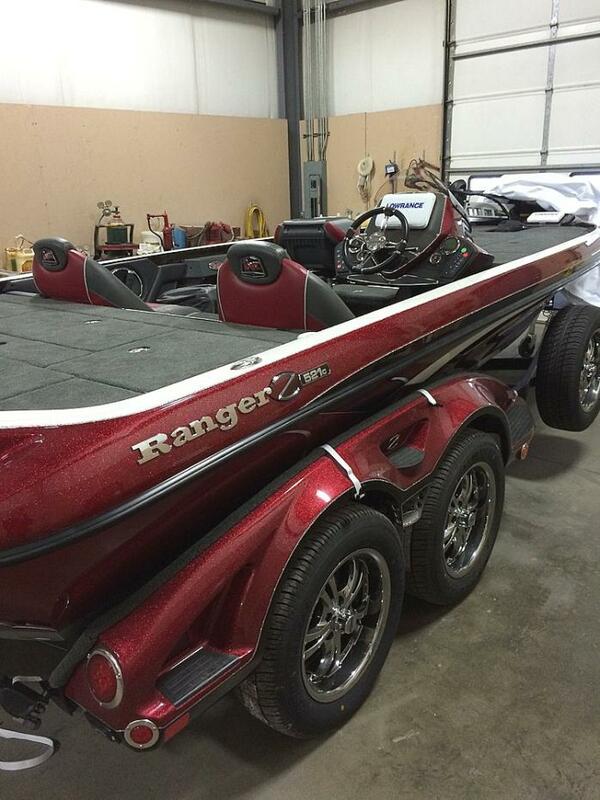 2016 Ranger Boats Z521C, 2016 RANGER Z521C POWERED BY A MERCURY 250 PRO XS. INCLUDES A TANDEM AXLE TRAILER, SPARE TIRE, BULLET WHEELS AND SWING TONGUE. ALSO TWO LOWRANCE HDS 9T WITH STRUCTURE SCAN, A MINNKOTA 112 FORTREX TROLLING MOTOR, FOOT THROTTLE, STEERING COLUMN TRIM, HYDRAULIC JACK PLATE, TOURING PACKAGE AND A MINNKOTA 15 X 4 PRECISION CHARGER. Packed with tournament bred performance and feature-after-innovative feature, the advanced engineering of the Z521c is built to reinforce the ultimate ownership experience. 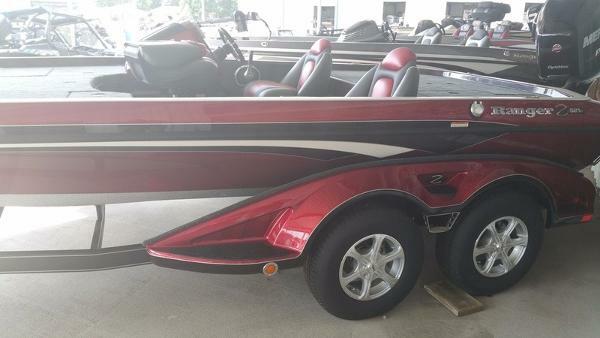 At 21&apos; 7" in length, this custom design is rated for 250 horsepower and comes with the smooth, fluid handling of Sea Star Pro hydraulic steering. The added comfort of a padded front deck is accented with built-in cup and tool holders surrounding the recessed trolling motor pedal.The port and center rod storage boxes include angled tubes making it easier to access and store your favorite rods while our patent pending Power Ventilated Rod System circulates air to help remove moisture from gear and equipment after a long day on the water. Available in single and dual-console configurations, the cockpit of the Z521c is equipped with all-weather, digital switching and there&apos;s plenty of room for flush mounting extra large 12" electronics in the dash. Elsewhere, the Z521c features the added comfort of SRS Soft Ride Bucket Seats including a center storage and an adjustable driver&apos;s seat for even more versatility. Combined with a full roster of instrumentation, a recirculating livewell with divider and pump out, an on-board charger, tackle management system, and a matching Ranger Trail trailer, this custom dream rig is driven to deliver an even stronger level of leadership.